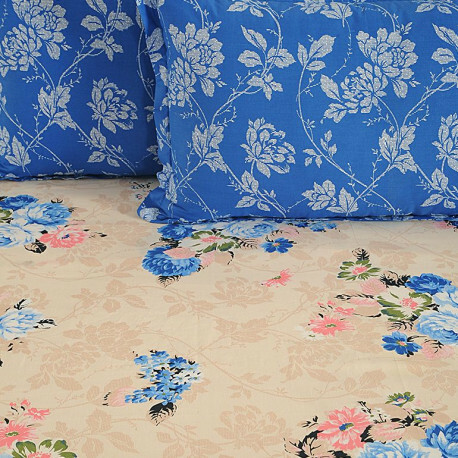 Aspire to own a linen that resonates your dream to create a luxurious comforting ambiance with its soothing colour palates and use of soft patterns then buy sea rose caramel bed sheets online at Swayam. 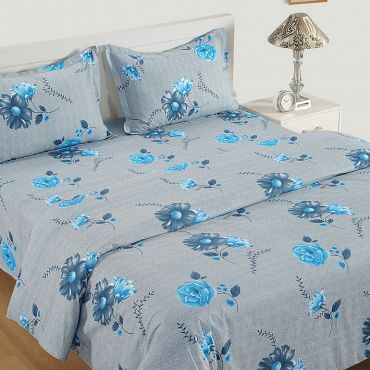 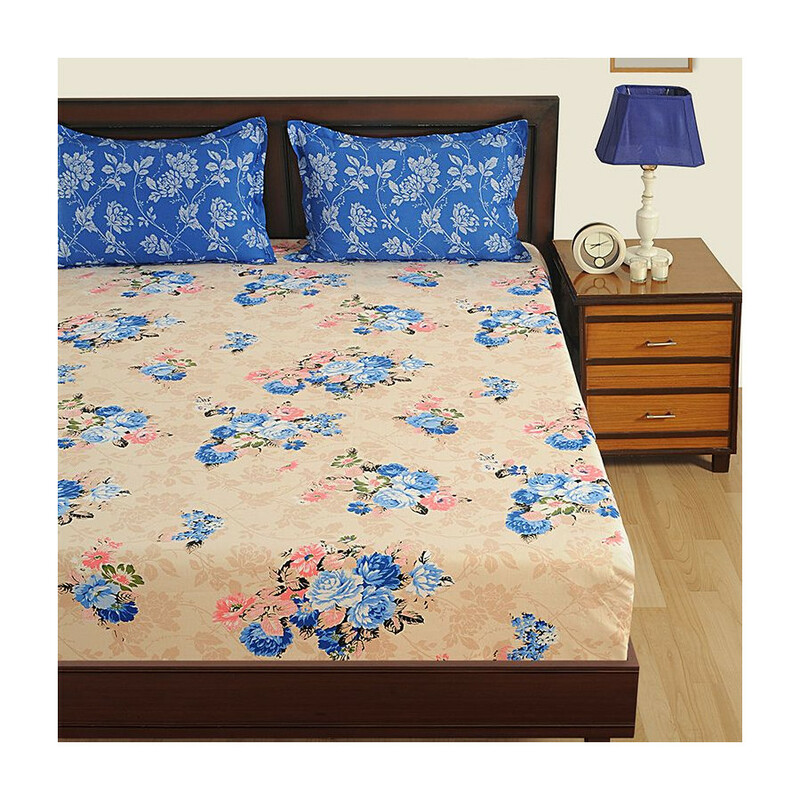 The gorgeous blue colour roses spread aesthetically across the length and breadth of the cotton bed sheet set on a cream backdrop would help you create an elegant, classy and vintage lavish aura to your modern bedding sets. 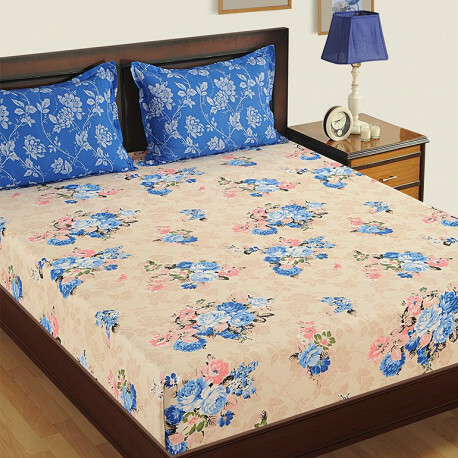 It would sooth your tired nerves and refreshen your mood with its clam, natural and elegant verve. 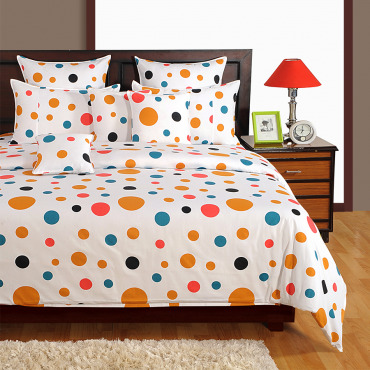 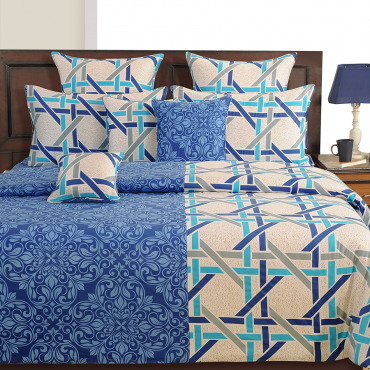 The matching cushions, pillows and comforters would foster a complete look and enhance the beauty of the cotton bed sheet set. 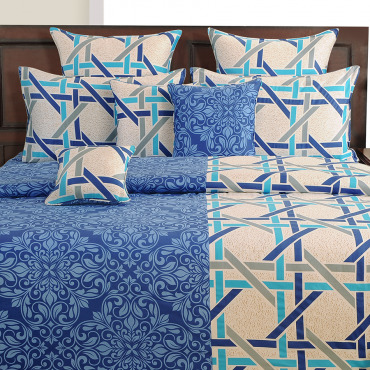 The soft texture and fine weaves of the natural fibers would endow a stylish appearance and comforting feel to the modern bed sheet set. 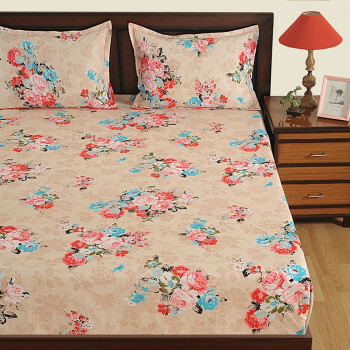 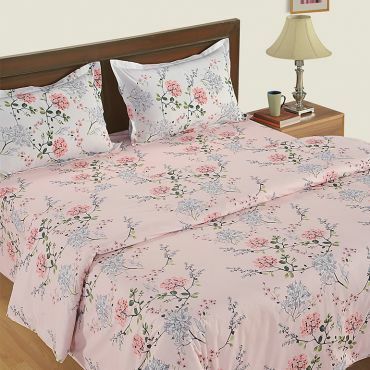 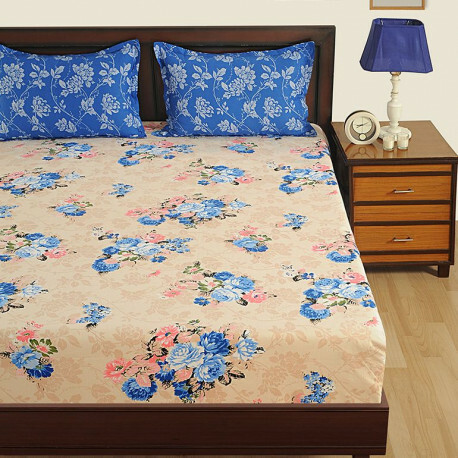 Buy sea rose cotton caramel bed sheet sets to enjoy the experience of comforting cotton and lavish soothing linens. 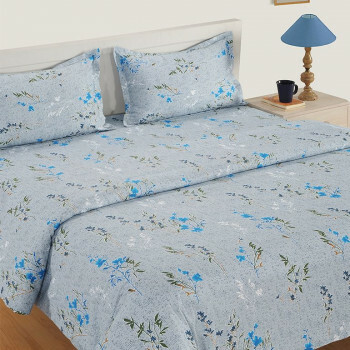 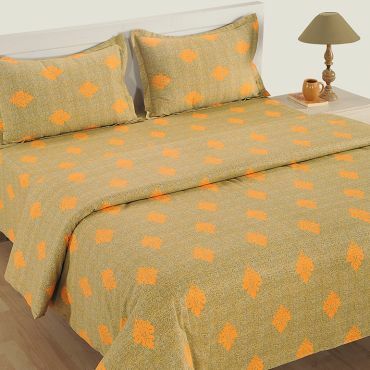 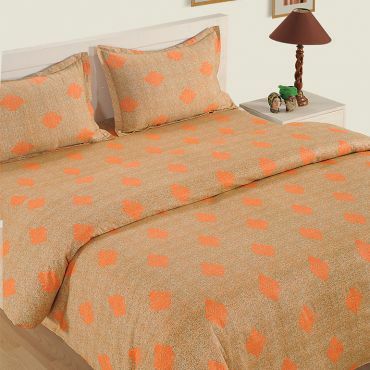 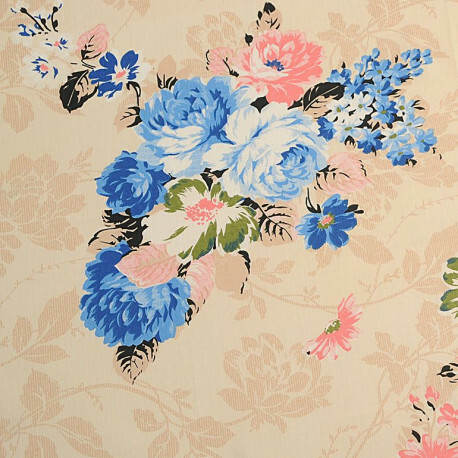 The lavish linen is made even more affordable to own with ongoing sale offers. 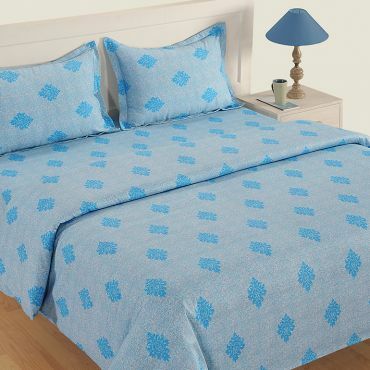 Our logistic team would take a good care of pricing and delivery of the linen.